Home / Know-how / Doc Composer / Retrieve tagged values as properties in Fill-in Doc. Suppose we have the some use cases in our project, and each use case with tagged values defined. And we would like to have the use case and tagged values display in a tabular form as below. 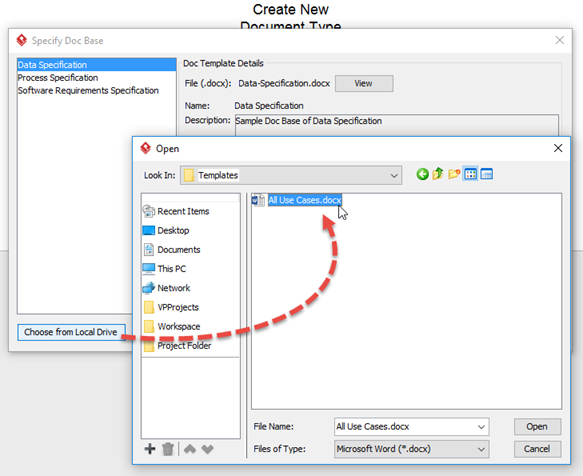 Create a table in your word document and with the header defined. Define the following Doc. 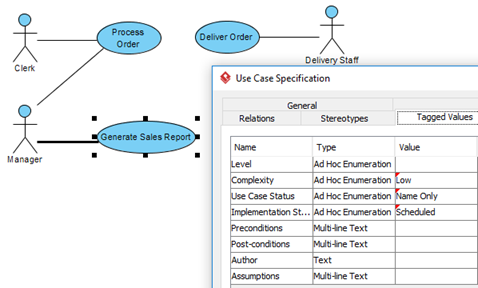 Field for retrieve use case model together with the name property in the first data cell. Define the Doc. Field in the following data cell to retrieve the tagged values as property by using their name. Select Tools > Composer in Visual Paradigm. Select Fill-in Doc to create a new document. 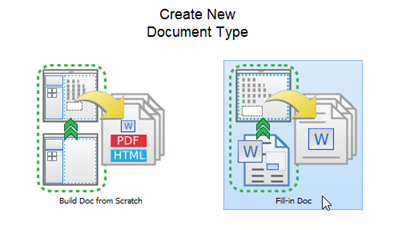 Press Choose from Local Drive button in Specify Doc Base dialog and pickup your Word document as the Doc. Base. In the Fill-in Doc editor the tagged values are show as property of the use case. Press Generate button at bottom right corner to output the Fill-in Doc into a word document. Now the use case and tagged values are outputted in our desired tabular form. * Please note that if the model element having property having same name as tagged values then the PROPERTY Doc. Field will retrieve the property value of model element instead of the tagged value. Why my Doc. Field not showing in Doc. Composer? /know-how_files/2017/12/vp_logo_header-1.png 0 0 Lydia Ma /know-how_files/2017/12/vp_logo_header-1.png Lydia Ma2016-10-06 17:55:212017-12-01 11:47:54Retrieve tagged values as properties in Fill-in Doc.